Out of the ashes of a devastated Woodbury, Georgia, two opposing camps of ragtag survivors develop - each one on a collision course with the other. Way out in the hinterlands, amidst the rising tide of walkers that seem to be pushing in from all directions, the psychotic Reverend Jeremiah Garlitz rebuilds his army of followers with a diabolical secret weapon. He has designs on the destruction of Lilly and her crew - the very people who vanquished his cultish church - and now, for the first time, he has the means to bring a special brand of hell down upon the tunnel dwellers. The final confrontation between these two human factions unleashes an unthinkable weapon - forged from the monstrous hordes of undead, perfected by a madman, and soaked in the blood of innocents. 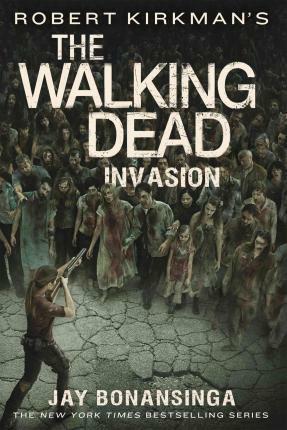 Jay Bonansinga along with the creator of the TV sensation The Walking Dead comes the next installment in this terrifying and completely original series of novels, where the legions of the dead come alive to carve out their domain from the television to the page. JAY BONANSINGA is the internationally acclaimed New York Times bestselling author of over twenty books in fifteen languages, with several optioned by major Hollywood studios. He lives in the Chicago area with his wife, the photographer Jill Norton, and his two teenage boys, and is currently hard at work on the next Walking Dead book in the Woodbury quartet.